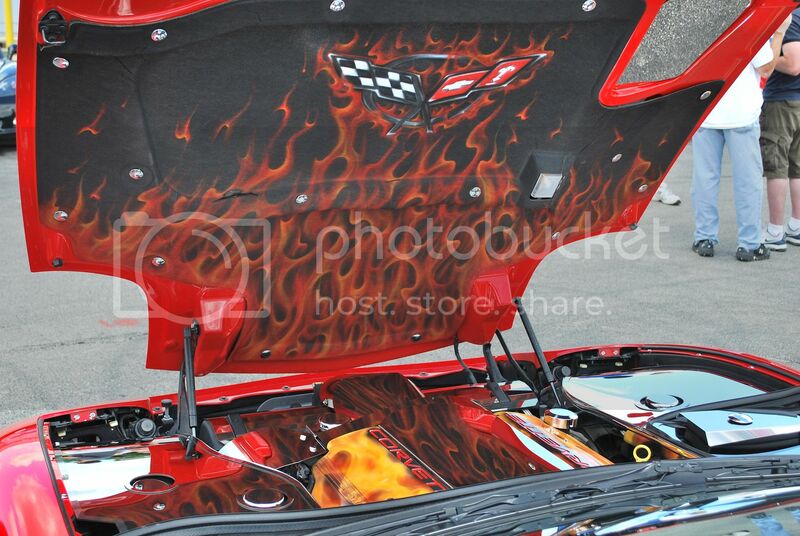 The new look to my engine bay! so long stainless and hello Torch Red and Carbon! I got tired of the stainless look on my car last summer so I decided I wanted something different. 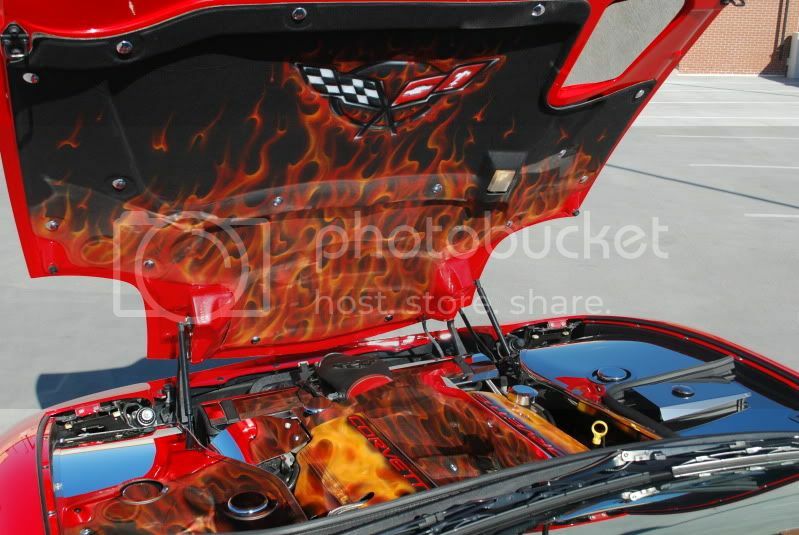 So I picked me up a LS1 carbon engine cover, tweaked it with some paint and airbrushing added some hydro from Pat at Amercian Hydrocarbon in the cowl, air bridge and brake booster cover and tossed on some Torch Red tank and inner fender covers from RK Sport I painted. Got everything installed for a car show yesterday. Whoa, that is nice. I am feeling the new look. 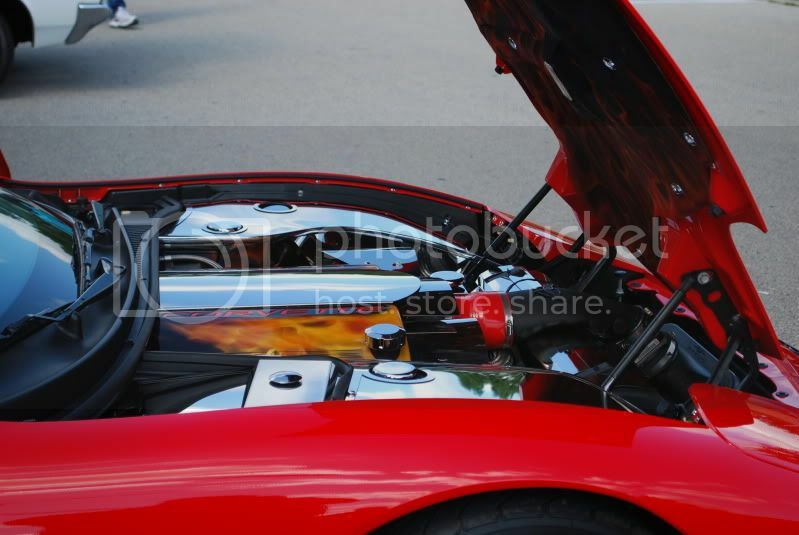 I have never really been big on the chrome look in the engine bay. Seems dated to me but to each their own. I like the transformation. yea i hear ya on the chrome. This setup I think with a couple more little things is going to be much cleaner looking and blend in with the rest of the car better. Last edited by Double D Mods; 06-12-2011 at 03:14 PM. Very tastefully done my friend!!!! Dang Dennis that looks sweeeet! Very nice buddy! Wow! You did good. Before was a little busy and now, its just tastefully done! 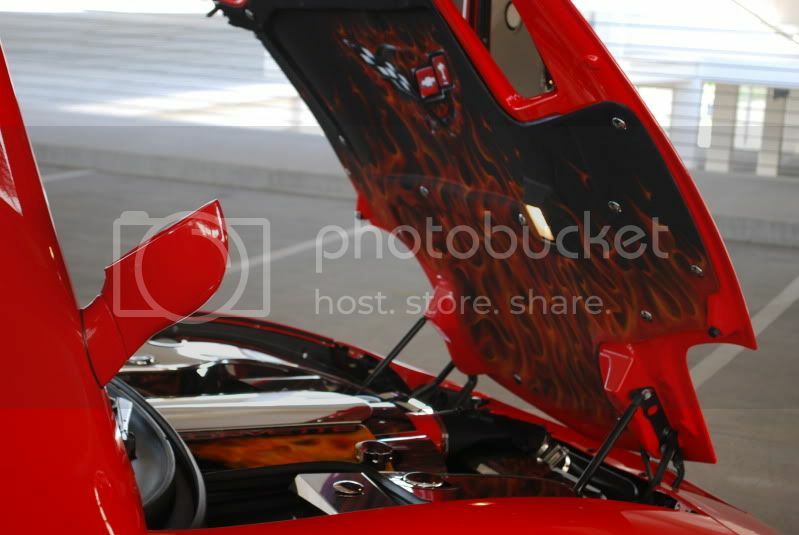 Where did you get that LS1 engine cover? Last edited by Double D Mods; 06-12-2011 at 04:32 PM. Awesome stuff - love the new look! Looks much better ...... I like it! 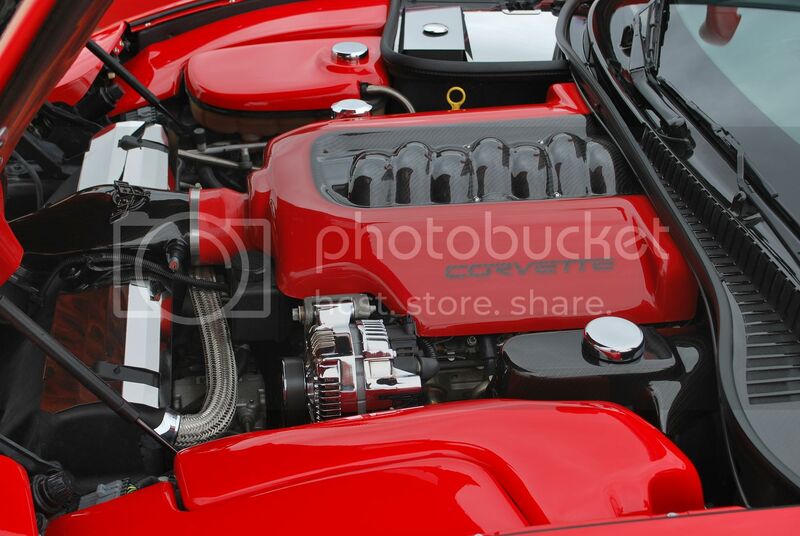 Quick Reply: The new look to my engine bay! so long stainless and hello Torch Red and Carbon!